Heartwarming memoirs of a young woman’s years at a venerable New York City hospital, where she is transformed from bewildered medical student to assured physician. Ofri, an attending physician at Bellevue and editor-in-chief of the institution’s literary journal, writes movingly of the human connections between doctor and patient. Versions of most of these 15 chapters have been previously published, but here they form a cohesive narrative of a compassionate and perceptive doctor’s development. When she began her initiation on the wards as a third-year medical student, the author left the orderly routine of classroom and research laboratory (she had already earned a Ph.D. in biochemistry) for the chaos, ambiguities, and rich rewards of learning how to help living and dying men and women in an inner-city hospital. With her first patient, the grandfatherly Zalman Wiszhinsky, she learns not only how to draw blood but the singular intimacy of sharing another human being’s life-and-death experience. A cast of vivid characters—a Rikers Island prisoner with an AA battery in his stomach, an obnoxious and abusive drug addict, a psychiatrist in fierce denial about his lethal pancreatic cancer, a middle-aged woman in a permanent coma—all play a role in Ofri’s complex emotional and intellectual growth. She shares her fears, her humiliations, her failures, her uncertainties, her growing competence, and her triumphs. 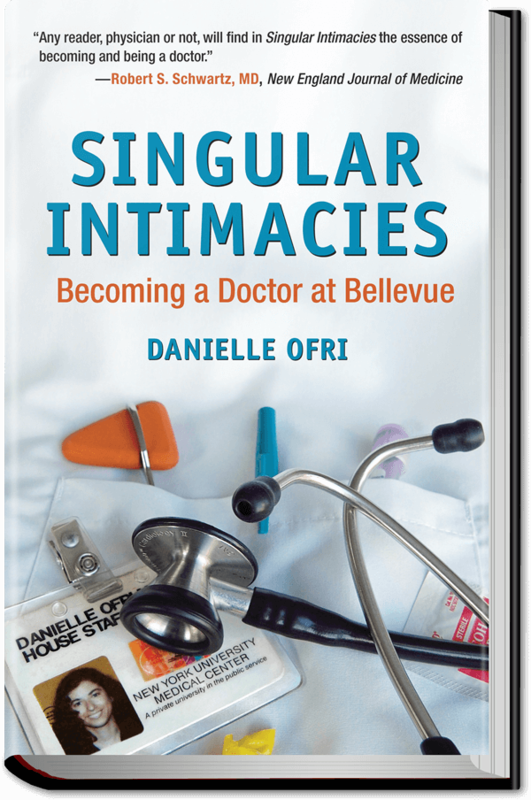 What is unmistakable, however, is that long before becoming a thoroughly trained and skilled physician, Ofri was already a singularly caring woman, aware of her patients as real-live fellow human beings. Let’s hope there’s a whole library of books to come from this talented physician/writer.